Curry leaves are widely used in many Asian recipes. It brings a fantastic flavor and smell to the food. It also provides numerous health benefits according to the studies. Here are some health benefits and the ways to use them . 1. Boil curry leaves in coconut oil. Filter it. Apply this oil regularly to get thick and beautiful hair. 2. 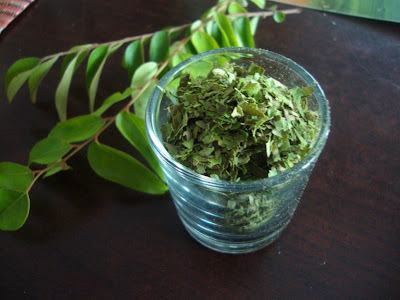 Make a curry leaves and neem leaves paste together. Mix a tablespoon of curry and neem leaves paste in half cup butter milk and drink it empty stomach to get relief from skin related diseases. 4. Mix curry leaf paste with ghee or butter to heal wounds without leaving scars. 5. Mix curry leaf powder and turmeric powder in equal quantities and consume it daily to prevent skin itching. 6. To prevent dark circles around the eye, mix curry leaf juice with curd or cheese and apply it on the dark circles. 7. To get quick relief from bee sting or any insect bite pain, apply a mixture of curry leaves juice and lemon juice on the affected area. 8. Drinking 1 tablespoon curry leaf juice two times daily will prevent kidney related problems.